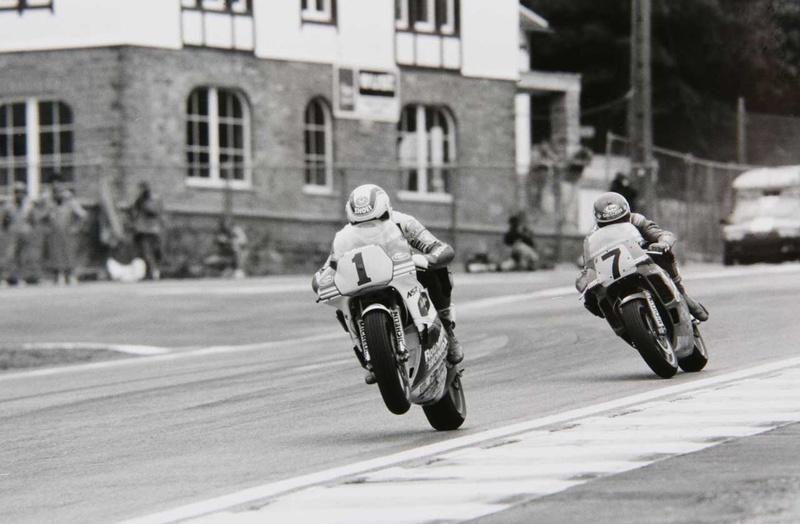 At this year’s Bikers’ Classics at Spa-Francorchamps three winners of the Belgian Grand Prix in three different decades will line up for the GP500 Parade. There’s exactly 10 years between the 500cc wins of Giacomo Agostini, Wil Hartog and Wayne Gardner. As expected ‘Ago’ dominated the 1968 race, Hartog was a surprise winner in 1978 and Gardner claimed the win in 1988 as a reigning world champion. 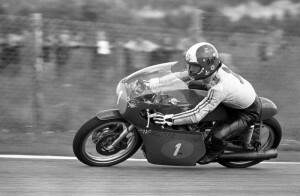 Giacomo Agostini’s 1968 win was his third successive 500cc win in Belgium – and he would add another five to his tally on his beloved MV Agusta 500 triple. Freed of the opposition of Honda’s Mike Hailwood, Agostini clearly dominated the 1968 Belgian Grand Prix. Second finishing Jack Findlay lost 3’46.30 minutes on his Matchless and although Derek Woodman was happy to celebrate his first ever 500 podium he had been lapped by Ago. Despite the lack of competition world champion Agostini clearly was in a hurry, because partly due to a new lap record his 1968 race was 26 seconds faster than the previous year. But it still took Ago 1h 03.11 to win the 131 mile/211 km long race! Wayne Gardner became Australia’s first 500cc world champion in 1987. His 1988 season did not go according to plan, however – until he won his first race of the year in Assen, beating his nemesis Eddie Lawson. With regained confidence the Australian fighter tackled the damp Francorchamps track on hand-cut slicks in full attack mode. Wet weather specialist Christian Sarron proved to be a serious threat, until he got caught out by the slippery tarmac. Gardner saw the chequered flag no less than 30 seconds before Lawson. From 5 to 7 July these winners of the Belgian Grand Prix will meet at the Bikers’ Classics. 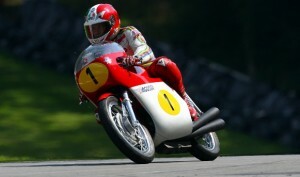 71-year-old Giacomo Agostini will climb on his own legendary MV Agusta, the bike he took to glory at the 1968 Belgian Grand Prix. Suzuki-racer collector Steve Wheatman will prepare a beautiful black and red Heron/Suzuki for Wil Hartog with ‘his’ winning #15 and Wayne Gardner will take a trip down memory lane on a Honda RS500, a bike similar to the 1982 racer that he rode when he made his Grand Prix debut in 1982.